These two 3x3 cards were fun to make! They both use stamps from stampin up. The one with the flower used scraps of paper. 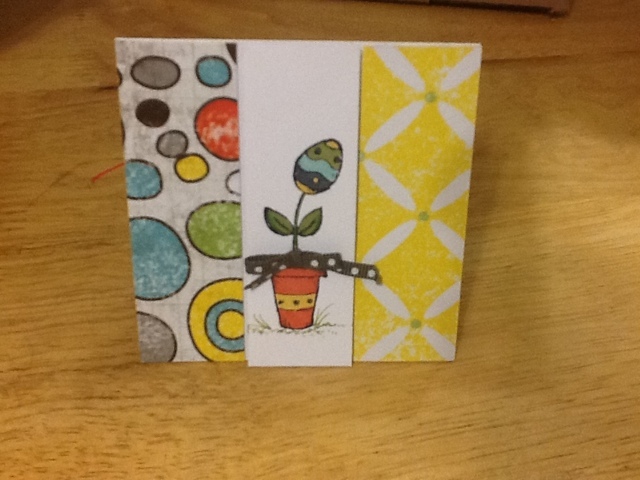 Cut 1 inch wide- it was a super great way to use scraps and have a great little notecard ready for a quick personal note. 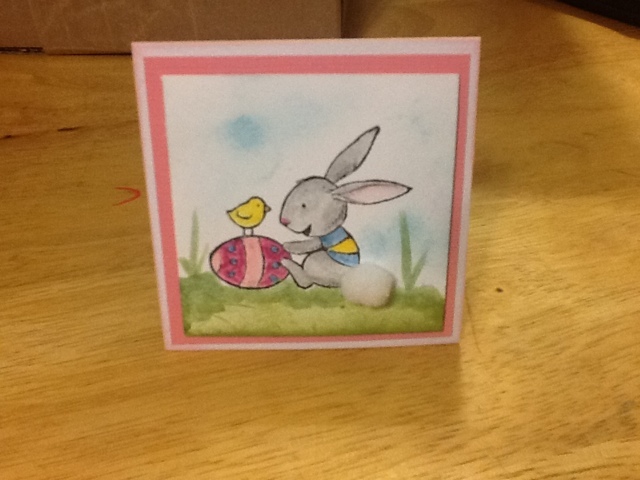 The Easter rabbit was fun to color and I used stampin up watercolored crayons. They are so easy to use and the color is so intense! Hope everyone has a hoppy kinda day!